Depression is a common illness that we often hear about, yet ironically usually have difficulty recognizing, particularly in ourselves. Therefore, oftentimes too many people living with depression don’t seek proper treatment. However, by arming ourselves with the facts about the illness, we can learn to distinguish it from a simple case of the blues,understand the symptoms and underlying causes, and therefore seek effective treatment. Remember, depression is common, more than just feeling down and most importantly, depression is treatable! Depression is a common, yet serious, illness that affects 20 million Americans each year. If you or someone you know is depressed, you are not alone. At least one person in ten will have a depression at least once in his or her life. Depression in its various forms (anxiety, stress, insomnia, fatigue, vague aches and pains, etc.) is one of the most common problems seen by doctors. Women experience depression at a rate that is nearly twice that of men. The reasons may include things like: hormonal changes, coping with multiple responsibilities, persistent negative thinking and low self esteem, genetic reasons, medication side effects or situational reasons. Many women are also particularly vulnerable after the birth of a baby. The hormonal and physical changes, as well as the added responsibility of a new life, can be factors that lead to postpartum depression in some women. While transient “blues” are common in new mothers, a full-blown depressive episode is not a normal occurrence and requires active intervention. 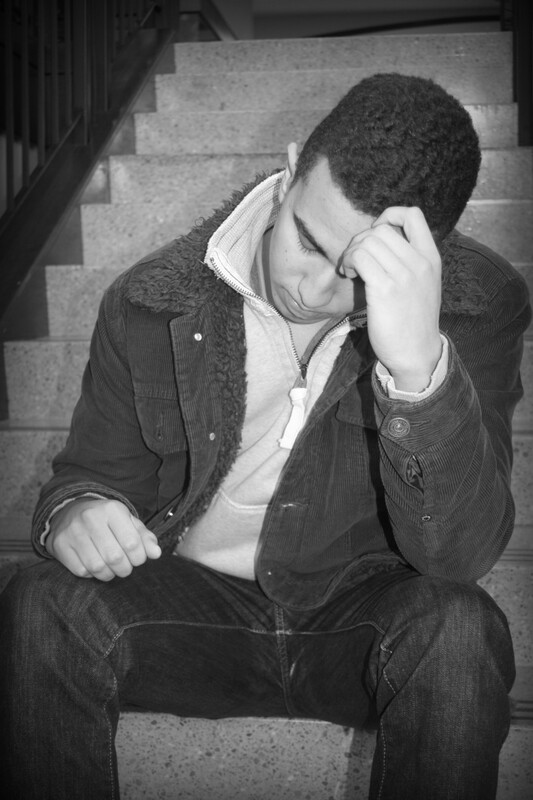 Although men are less likely to suffer from depression than women, 6 million men in the United States are affected by the illness. In fact, the rate of suicide in men is four times that of women (though more women attempt it). Depression may be more difficult to recognize in men, because instead of feeling hopeless and helpless, men will exhibit irritability, anger and discouragement. Men often mask their depression with alcohol, drugs or by the socially acceptable habit of working excessively long hours. Additionally, men are less likely to admit to depression and doctors are less likely to suspect it. Even if a man realizes that he is depressed, he may be less willing than a woman to seek help. Encouragement and support from concerned family members can make a difference. Depression is a mood disorder that causes you to feel sad or hopeless for an extended period of time. It is important to know the difference in clinical depression and having the blues. Depression is an illness that robs one of the meaning of life. Depression is not about being weak, and it is not about just feeling low or having a few bad days. A depressive disorder is an illness that involves the body, mood and thoughts. It affects the way a person eats and sleeps, the way one feels about oneself and the way one thinks about things. A depressive disorder is not the same as a passing blue mood. It is not a sign of personal weakness or a condition that can be willed or wished away. People with a depressive illness cannot merely “pull themselves together” and get better. Many people with depression produce a higher-than-normal level of the stress hormone, cortisol. Cortisol suppresses the immune system. People with poor health may run from doctor to doctor putting out one fire after another when the underlying cause may be depression. Depression affects the length and quality of life. It is the #1 cause of alcoholism, drug abuse and other addictions. 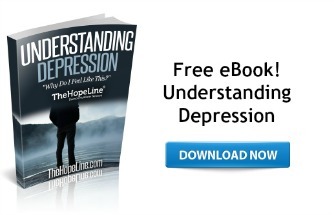 Depression can be an all-pervasive emotional-mental-physical source of misery. It can affect all aspects of a person’s life impairing ability to sleep, eat, work and get along with others. It damages our self-esteem, self-confidence and our ability to accomplish everyday tasks. Depression is not just feeling down; it puts a dark, gloomy cloud over how we see the world, our future and ourselves. The cloud cannot be willed away, nor can we ignore it and have it magically disappear. There is also a link between stress and depression. There is a complex relationship among stressful situations, our mind and body’s reaction to stress and the onset of clinical depression. It is clear that some people develop depression after a stressful event in their livesdeath of a loved one, the loss of a job or the end of a relationship. Stress can also occur as the result of a more positive event such as getting married, moving to a new city or starting a new job. It is not uncommon for either positive or negative events to become a crisis that precedes the development of clinical depression. Depression can be seasonal as well as situational with some finding the dreariness of winter months particularly tough. This is called SAD – Seasonal Affective Disorder. If you experience any of these distressing symptoms for more than two weeks you should contact your doctor. And you should seek help immediately if you feel you can no longer take itor feel like ending your life and suicide is the only option. The good news is depression is treatable! Sadly, most people do not recognize this and the symptoms of depression can keep someone from seeking treatment. Depression is nothing to be ashamed of: it is an illness that, without treatment, can last for weeks, months or years. Appropriate treatment, however, can help most people who suffer from depression. The two main pillars of treatment for depression natural and synthetic antidepressant medications for the brain, and psychotherapy for the mind are mostly natural processes. Psychotherapy is a common type of counseling that mostly involves talking a natural process. There is no brainwashing. Prescription antidepressant medications simply restore the brain’s natural levels of certain naturally produced neurotransmitters. You don’t feel antidepressant medications in the way you feel other mood-altering drugs such as alcohol, tranquilizers or amphetamines. The improvements experienced with antidepressants seem to come from re-establishing natural levels of certain neurotransmitters produced by the brain. People often benefit by gathering with others going through similar experiences. Those who are healing from depression are no exception. Support groups are an excellent place to share experiences, suggestions, information, and, obviously, support. Perhaps the most important knowledge to be gained from support groups is that you are not alone. Take small steps such as walking – the fresh air and exercise will be super! How are you feeling? – Take a mental health screening from Centerstone here. If you or someone you love needs help, contact Centerstone at 1-888-291- HELP (4357) or visit www.centerstone.org. If you are in crisis, call Centerstone’s 24-Hour Crisis Intervention Hotline at 1-800-681-7444. The internet has ended many marriages. How can you love someone online as much as your spouse ? This is a mistake if you left your spouse! I was married for 13 years and had four beautiful children. Then my husband found someone new and left our family for her. I raised our four children by myself. Today, 14 years later, my kids are mostly grown and although I try to keep a positive front for them, I find myself struggling with sadness, depression and lack of interest in activities of any kind. I would never take my life, but I don’t like feeling so cynical and burnt out all the time. This just isn’t who I want to be. I read books on gratitude and how to experience joy even in troubled times, but honestly, it’s a continual struggle for me. I don’t personally believe in taking medication for my problems, but all my efforts to resolve this with self-help, nutrition, hypnosis and exercise seem ineffective. I miss having friends and don’t seem to be able to make them anymore. Suggestions? I have a difficult time making friends throughout my years in school. But today I have two good friends that I treasure, even though I am not a open person I am more open to them then many other people. I suggest that when you are in groups, outings, or even at the gym. Get to know the people that have the same hobby as you and who knows you might even become best friends. Be careful with telling others to just follow their hearts. Hearts can be deceitful. I am almost in the same situation, and I deeply believe that both of us can find someone. I know it seems unrealistic, but I BELIEVE. And since I started to believe this I feel better. I understand you perfectly and feel good reading this, because I have thought that it was something wrong in me feeling like that. I’d like to know you. I understand where you are coming from, but at least you did not waste 3 years or 4. It is better to start then to never do. I wish you luck in your studies and a long and wonderful life. Hi, I am 19. I have a problem. I don’t know how to change this feeling. My mind is odd, there are time that I love myself and times that I hate myself. I hate the feeling of hating myself and I don’t know how to stop this feeling. There are times that I have sucidal thoughts even though I know I can never do it. I have people that I love and friends that I cherish. My life feels so perfect, I have a loving family, do great in school, have friends, and great traveling experiences. I sometimes feel that I don’t deserve this happiness and that ‘why is it me that is in this family, this family deserves someone better than me’. I also feel that I am letting many people down. I don’t want to do it but it happens. I can’t change the past but it taunts me and it continues. I put a front and in truth I am afraid to speak to anyone about this. I know that my family and friend will be willing to listen but I am afraid. I don’t want to have sucidal thoughts or disappoint people that I love. I want to do good things in life and say that my family raised me right and that I will end up happy. I don’t want to go back and forth in these feeling of love and hate and I don’t know who else to speak about this with. Please help me. Part 2 I really need to get counseling, since I feel horrible. I love the degree that I am going for but there have been so many mistakes. I feel overwhelmed and frustrated. I am taking 19 credit hr, 3 clubs, and a job, but I seem to be making mistakes left and right. I screwed up big time today and I feel scared, vulnerable, and frustrated. I feel that this is the end of the line. The future does not seem certain anymore. Try to get along with all the good groups so you are positive enstead of negative. Spend some times with girlfriends or do something for yourself. Stay strong you have done the first difficult step. Remember God loves you and he wants a good man for his daughter. Love your wife. Give your attention to your wife alone. Remember you are not heading to hurt yourself. You started it, so end it before you lose you wife. Be a real man for your wife. Quit the b.s…. cheating. Don’t play with fire. You opened the devils den when you started going online end it before it goes any further. And stay committed to your wife as you promised! you will be okay! do not worry! follow your heart! believe in yourself! God is not punishing you and he is not unable to forgive you but there are consequences to our actions that we have here on earth. God can use this for good. Have you asked for forgiveness? It is then you can truly heal. I pray you lonileness will flee. You can let go of that person, but takes time. Set a standard for yourself. if one cheats means let go of person. Sooner or later, you will be hurt.